Funding amount: £14,057 per annum (2015/16 subject to 1% increase p.a.) for 3 years. Plus £5,000 Research Development Grant. CBM is an exciting new initiative that has been jointly established by the University of Wales and University of Wales Trinity Saint David. CBM is a manufacturing and research facility centred on the creative application of advanced technologies and techniques across a wide range of manufacturing sectors including aerospace, medical engineering and craft sectors. 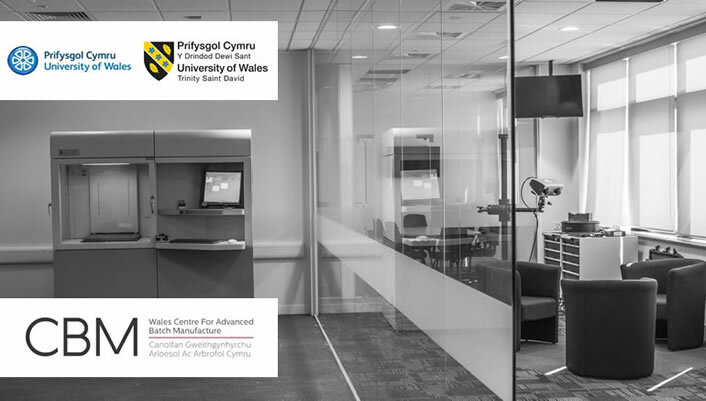 PhD students will have access to CBM’s full technology platform, including computer-aided design, 3D scanning technologies and layer-additive manufacturing technology, for example Electron Beam Melting. For more information on CBM see here. For further details on each project see here. As part of the above research projects, candidates will have opportunities to undertake research and advanced training at a number of partner institutions, organisations and companies, in the UK, Europe and beyond. Candidates must demonstrate an interest in the commercial application of research. Funding: Home/EU: Full payment of tuition fees and maintenance stipend of £14,057 per annum. Studentship covers full UK/EU (EU applicants who have been resident in the UK for 3 years prior to application) PhD tuition fees and a tax-free stipend at the current RCUK rate (£14,057 in 2015/16). A Research Development Grant of £5000 is also available for each candidate to support advanced research training for the duration of the studentship. Deadline: First deadline for applications 29th July 2016. Candidates are asked to complete and return the application form available from here. Completed applications should be returned to the address specified on the application form. Candidates are strongly advised to contact CBM for an informal discussion before applying.